Jemma Carlson has had numerous short stories and novels published in magazines and through different publishers. She also ghost writes autobiographies in her spare time. Kerry Nichols has a sweet business. Her candy line called WISHES is doing fantastic. For Halloween she's designed a line of sweets shaped as ghosts, goblins and witches and the confections are going so fast that she has to hire additional help to get the orders out. 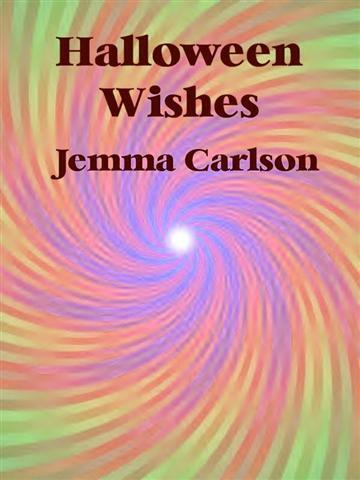 Matt McLaughlin has a huge order for the Wishes confections for his company Halloween Party and Kerry is personally overseeing the order even though she hasn't spoken to Matt for over five years....ever since they'd had a fight and Matt had walked out of her life. For Kerry this is bitter torment being this close to Matt again, but she's determined to make everything perfect and not let Matt see how much he'd hurt her. Kerry Nichols "Wishes" candy line is going great and she's been dating her old boyfriend Matt McLaughlin for over a year and things are starting to look serious, that's when Kerry gets the order for a huge supply of St Patrick.s Day Wishes and from none other than Matt's ex-fiancee. Matt seemed nervous at having to meet her in an upcoming dinner party and Kerry has to wonder if maybe his feelings for Darla had never actually died out.